Davis Holloway, Grayson Avant, and Isabelle Saratsiotis identify rocks by their characteristics. 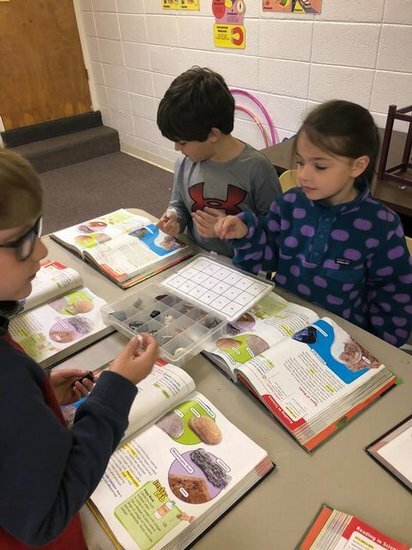 Mrs. April Duke's third grade class at Southland Academy investigated rocks, minerals and fossils in the elementary Lower School Science Lab. Some students also presented posters.